* The composer of The Barber of Seville and William Tell ceased to write operas at the height of his career, and at the age of 37 retired into two decades of seclusion. * In 1855 Gioacchino Rossini began to compose again, this time in the form of chamber works, performed privately in his Paris salon for the cream of society. 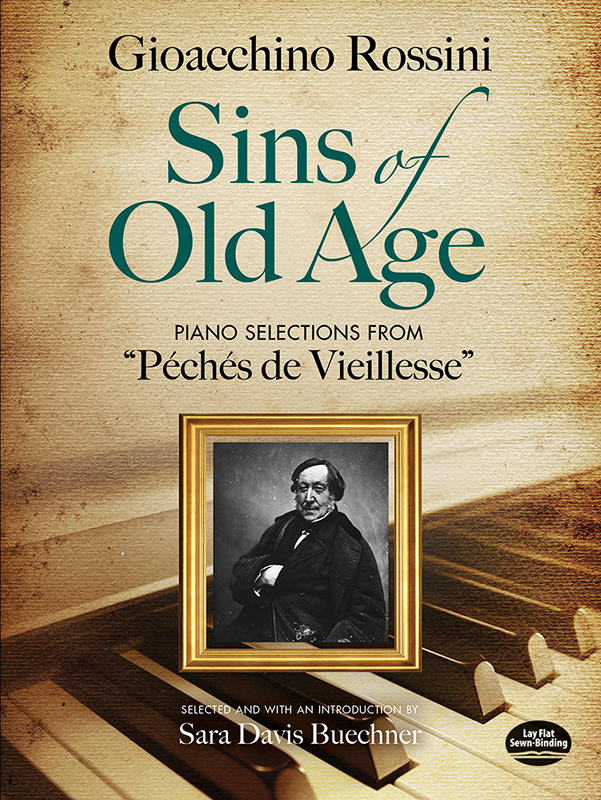 * These works were not published until after the composer's death, and have since come to be known as Sins of Old Age. * A graceful combination of sophistication and naiveté, the 150 vocal and solo piano pieces from this period influenced later composers such as Saint-Saëns and Satie. * This selection of highlights from a 14-volume compilation of Rossini's piano works includes "Mon Prélude Hygiènique du Matin," "Ouf! Les Petits Pois," and "Un Rêve." * Fun to learn and satisfying to perform, these pieces are suitable for intermediate to advanced pianists. * Each piece was selected by classical pianist Sara Davis Buechner, who offers an informative introduction.